Every year without fail—despite my best efforts—winter wreaks complete and utter havoc on my skin. Think cracked lips, brittle hair, and red, irritated patches everywhere. While I have no shortage of beauty products lurking in the back of my medicine cabinet (or under my sink, bed, and inside my refrigerator), by the time February rolls around, my papery body is crying out for *moisture*. In a fit of desperation to end the cycle of tight, flaky skin, I decided to try something drastic: abandon my current eight-step skin-care routine, favorite shampoos, and even my stash of fragrances, and replace them with...baby products. That’s right. I would use nothing on my face, body, or hair that couldn’t also be lovingly applied to a tiny human being. In total, I found 18 products—which, in retrospect, might have been a tad overboard—and cheerily carted them home to begin transforming my irritated, scaly skin into baby-bottom smoothness. Below is everything I discovered: the good, the bad, and my surprise new favorite products. It became glaringly obvious right off the bat that these extremely *thick* lotions and creams were a huge departure from my typical array of products. I have combination skin that is sensitive to oils, prone to clogged pores, and susceptible to the occasional cystic pimple. Fun fact: You’ll never find a baby formula boasting that it’s non-comedogenic. Acne prevention is not a priority for infant care, funny enough. And pilling under makeup is also not a major concern. 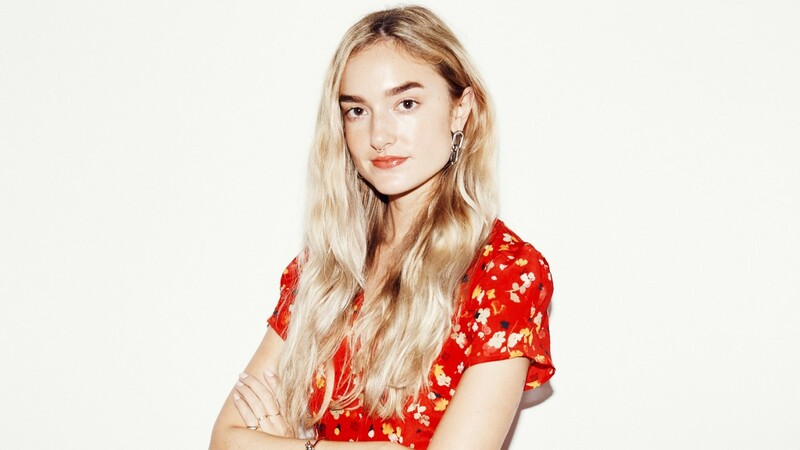 Both were red flags, since I, a 28-year-old woman living in New York City, frequently wear makeup and get breakouts on the regular. Despite this, each week I gamely slathered my face in Chantecaille’s Bébé Orange Blossom Face Cream, Petit Pai’s Apple & Mallow Blossom Face & Body Cream, or Kiehl’s Mom & Baby Moisturizing Cream. On top, I used Coola Baby SPF 50 Unscented Moisturizer, which at this point was like spackling a magnificently frosted cake. Most days I went makeup-free, save for my lashes and brows, because every cheek tint or highlight I own would immediately drip down to my neck. Sure, my skin was soft, but my pores were unhappy and I missed my vitamin C serum. However, I loved swiping Cocokind’s Baby Organic Moisture Stick on my lips and the corners of my nose. Now, because most babies don’t have a lot of hair to speak of, many of the products I found are formulated for both hair and body. I decided to divide them up and use a select few for my hair, which is wavy, color-treated (cringe), and riddled with split ends. There are also no conditioners for babies, presumably because their hair is already silky-soft. But, for scientific purposes, I decided to forgo my usual conditioning mask. Every three days I shampooed with either Chantecaille Bébé Flower Petal Hair & Body Wash or Kiehl’s Gentle Hair & Body Wash, and then applied The Honest Co. Conditioning Detangler, brushed it out with my Mason Pearson brush (for the most fashionable of babies), and slept on it damp. To my enormous surprise, I woke up with soft, touchable waves night after night. Usually I only use an aloe vera or apple cider vinegar conditioning spray on my hair, so I’m pleased to admit that I’ve kept these products in my regular rotation. 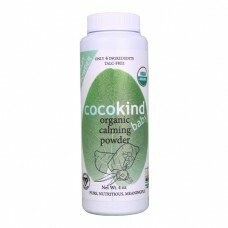 I won’t swap out my favorite dry shampoo anytime soon, but Cocokind’s Organic Calming Powder also works in a pinch. This is the category I was really excited about, since I typically drop a small fortune on luxury body creams every winter. 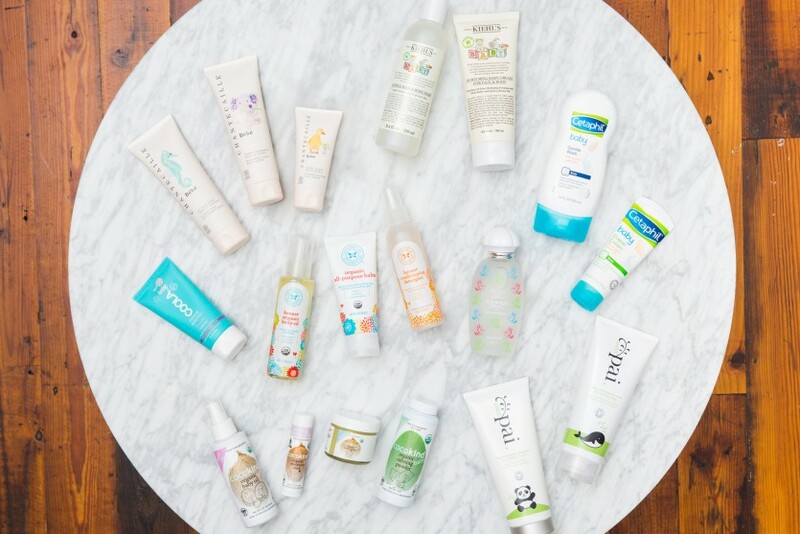 What if modestly priced baby lotions and washes were the answer to all my dry-skin woes? To my relief, that’s exactly what I found. 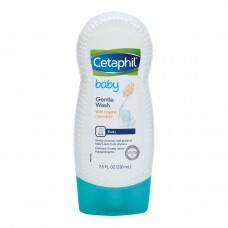 In the shower, I applied either Cetaphil Baby Gentle Wash or Petit Pai Apple & Mallow Blossom Hair & Body Wash. Both contain calendula—a soothing extract found in many baby products—and are paraben- and sulfate-free (meaning there was none of the satisfying lather I admittedly love in most body washes). My skin didn’t feel as tight afterward, but I also felt like I needed to use more product to get clean. Post-shower, I applied more of the above face and body creams mixed with Honest Co. Organic Body Oil or Cocokind Organic Baby Oil. On any particularly dry spots, I used Cetaphil Baby Diaper Cream, which worked amazingly well, although my boyfriend seemed confused as to why I needed diaper cream in the first place. For my hands, I now keep a jar of Cocokind Baby Organic Soothing Salve next to my bed at all times—the mix of coconut oil, beeswax, olive oil, calendula flowers, and aloe vera leaf are the perfect bedtime hand moisturizer. Last but not least was fragrance, and yes, there is such a thing as a baby perfume. Creed’s Creed for Kids is alcohol-free and citrusy with plenty of apple and plum notes. It’s not totally my vibe, but my co-worker took a liking to it, and I can report that she’s very happy to smell like a newborn baby. As for myself, I’ll be embracing my diaper cream and calendula all winter long.